Gold – is the bubble about to burst on a once rock solid commodity? After a ten year bullish period, gold prices have plummeted, dropping around $600 dollars from its peak price. As the foundations of this traditionally 'rock solid' investment begin to show signs of weakness, what impact will this have on an industry already under pressure from rising production costs, product scarcity and the need for riskier exploration? Unless we can get back above $1,525 pretty quickly it could be that the gold bull market is over, Stone says. We do not think gold has been or is in a bubble. Gold is cyclical, says Grubb. We're going to see more reduction but it's not too bad at this point, says Gallagher . The price of gold ($1,378 at the time of writing) is significantly down from the lofty heights of $1,910 an ounce in August 2011. Before this two year low the gold price had experienced a ten year bullish period. There are very few winners to be found amid a global economic downturn, but the gold mining industry has been one of them. The characteristics of an economic crash – low interest rates, volatile markets and high inflation – have allowed the price of gold to thrive on the back of its reputation as a rock solid investment. 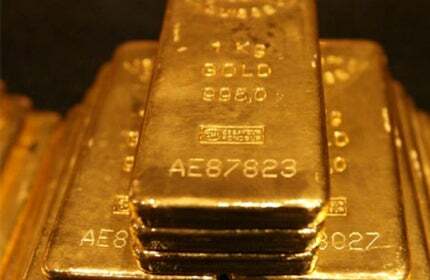 Now, however, the global economy is slowly recovering, and in turn, in April, the gold price hit a two year low. This curious activity in the gold market – after a ten year bullish period – is raising many questions about where the price of gold will settle and whether the gold boom is finally over. If so, what does this mean for the market and mining companies that are already pressurised by maturing assets, rising production costs and smaller, less profitable deposits? What is happening to the price of gold? "The global economy is slowly recovering, and in turn, in April, the gold price hit a two year low." The price of gold ($1,378 at the time of writing) is significantly down from the lofty heights of $1,910 an ounce in August 2011, leading investors to wonder whether the bull hasn’t already left the china shop. Asked whether the gold bubble is finally deflating, head of trading at Gold Trading Experts, Stuart Stone, says it is, adding that his company are taking a bearish stance on the price of gold. "Unless we can get back above $1,525 pretty quickly, which just doesn’t look likely, it could be that the gold bull market is over," Stone says. Stone cites a lack of inflation, interest rates that are moving higher and a recent mass sale by investors of their Exchange Trading Funds, as they look for equity based investments, increased hedging and a fall in Chinese demand for commodities. "It is all down to inflation expectation and interest rates but all these things are linked to it [gold price] in some way and all are going against gold at the moment." However, not everyone agrees that the price of gold is indefinitely on the downturn. "We do not think gold has been or is in a bubble. Gold is cyclical," says Marcus Grubb, managing director for Investment at the World Gold Council. Although Grubb agrees that in the first five months of 2013 gold prices were weakened by greater optimism about economic recovery in North America and investors looking for equity based investment, he doesn’t think the outlook is particularly negative. "In Q1, apart from the exchange traded funds, which is a small part of the market, it was actually a very strong quarter," he says. "Where we are today, we have an interesting situation; the futures market in gold is positioned in a way that is pushing the price down, but the response of that from buyers all around the world is near record demand figures." In April, according to a press release from the World Gold Council, demand for gold bars, coins and jewellery began to increase, leaving many shops empty of stock and refineries introducing waiting lists for buyers. A large part of this demand was in India and China, both of which cover 50% of gold demand each year, according to Grubb. Nuala Gallagher, a mining correspondent at Mergermarket, agrees with Grubb. She says that what is happening now is similar to what happened in 1998, when the markets fell off after a two year bull run but soon recovered. "We’re going to see more reduction but it’s not too bad at this point," she says. What do reduced gold prices mean for miners? Regardless of what stance experts take on the price of gold at the moment, the fact remains that the price is down, which, all agree, is having a negative effect on the industry – at least in the short term. "Regardless of what stance experts take on the price of gold at the moment, the fact remains that the price is down." Gold is essentially a scarce resource and there have been requirements to move into riskier exploration projects, which demand higher capital expenditure and a higher cost per ounce price model, which is reliant on the higher gold price. Some gold mines have already shut or slowed down operations. Chinese-backed Focus Minerals announced this month it was closing its second gold mine in Australia, The Mount, after struggling to keep production costs down amid falling gold prices. In the March quarter its production costs at hit $1,893 an ounce. U.S. Silver & Gold Inc owned mine, The Drumlummon Gold Mine, also announced in April it will close down most of its mining operations by the end of June, saying production is not economically viable at the current gold price. The mining industry is one that is used to increasing production challenges, changing markets and capital and cashflow constraints, and is generally versatile enough to deal with these constraints. However, Stone doubts all mining companies will be survive. "Some mining companies are spending $1,200 an ounce just to get gold out of the ground and the price is only around $1,400," Stone says. He adds that smaller exploration companies may find themselves in trouble if they can’t get capital. "With their cash flow being so constrained and cost of production being so high they are really struggling. You’ve only got to look at the gold mining indexes that have halved in the past year or so." However, Gallagher has more faith in the ingenuity of gold miners and there ability to adapt to the changing situation. "There won’t be closures; there will just be changes in strategy and financial engineering. They are very sophisticated and very good at moving around these problems." She cites the Mexican Esperanza Gold Project switching its mine in the state of Morelos from owner to contract to save money, and Anglo Asian Mining, who have commissioned a plant to replace most of the heap leaching they do, which will reduce the time it takes for them to process ounces, as examples of how mining companies are reducing costs. One of the main areas companies will aim to save money is by halting mine expansion and exploration. Grubb says: "What they were doing is spending millions of pounds expanding mines and discovery new reserves, all they do is stop that expenditure and the cash flow improves dramatically." What does the long-term outlook for gold look like? "Asian demand, where gold is routinely bought for weddings as well as investment, is not going to go away." Senior analyst at Richcomm Global Services, Pradeep Unni, recently told Reuters: "The trend to the downside is vivid and $1,321 and $1,280 seem achievable." Stone agrees gold prices are likely to drop further: "We expect we will see $1,250 [an ounce] as a low this year, it may even go all the way down to $1,150 or a $1,050." He adds that the long-term impact of this on the gold mining industry will be more mine closures and big companies acquiring smaller companies. This could add to the price of gold, he says. "This will help the gold price eventually because you will have less supply and the normal rules of supply and demand will dictate the price goes up, but that takes a long time." Even if the economic recovery is stronger and the price falls further, Grubb says it’s likely the demand for gold will stay strong, supporting mining production. He adds that Asian demand, where gold is routinely bought for weddings as well as investment, is not going to go away. "China and India hold two and half billion people, who are getting richer. What are the chances of those consumers buying less gold than they do now? There’s no chance. It’s a question of how much more they’re going to buy," Grubb states. "This is a metal that is in deficit, so long as the demand remains high you are going to see the gold price remain strong," he adds. There’s no doubt the gold mining industry has a rocky patch to overcome in the short term, and there’s likely to be more casualties and job losses, but as Gallagher and Grubb suggest, the ingenuity of gold miners and steady demand may just be enough to maintain the industry in the long term. As Barrick CEO Sokalsky suggests: "Returns will drive production, production will not drive returns", as it has done in the past. While weak economic data led to a large-scale sell-off of commodities in April, May has seen US markets reach record highs. Copper’s up, gold’s down, and oil and rare earth metals could swing either way in 2013.